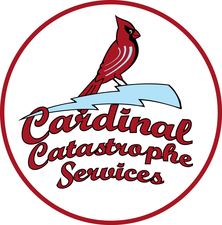 At Nashville Catastrophe Services, we pride ourselves on being an educational resource for our clients. Since a majority of our clients come to us with damage to their roof following a storm, we have provided the following information for your benefit. Have any questions? Call us at (615) 761-9939. We're more than happy to come give your house a thorough inspection if you suspect roof damage, and answer any of your questions. 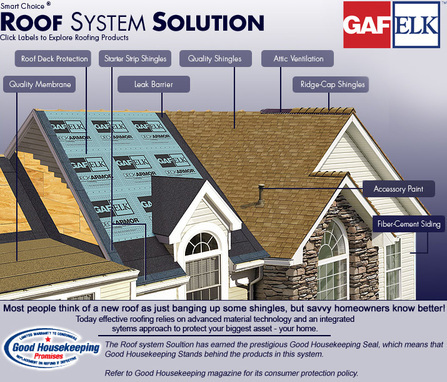 Check out either of these home remodel apps to see how a new roof could improve the look of your house! Commonly known as ice and water shield. The NRCA Roofing Manual: Steep-slope Roof System explanation: “A water and ice-dam protection membrane is a distinctive type of under-layment. This type of under-layment provides additional protection from moisture intrusion along the eaves, at penetrations, at elevation changes, and in valleys where excessive water runoff or ice damns can occur.” In addition, The NRCA recommends installation of ice and water-dam protection in areas where the average January temperature is 30 F or less. Nashville Catastrophe Services provides ice and water shield with all our roofing projects as a no cost upgrade. Ask any generalist about ice and water shield, and most importantly, how much they charge for it. Class "A": The highest fire-resistance rating for roofing as per ASTM E-108. Indicates roofing is able to withstand severe exposure to fire originating from sources outside the building. Class "B": Fire-resistance rating that indicates roofing materials are able to withstand moderate exposure to fire originating from sources outside the building. Class "C": Fire-resistance rating that indicates roofing materials are able to withstand light exposure to fire originating from sources outside the building. Plastic Cement:A compound used to seal flashings and in some cases to seal down shingles as well as for other small waterproofing jobs. Where plastic cement is required for sealing down shingles, use a dab about the size of a quarter unless otherwise specified. Self-sealing cement:A thermal-sealing tab cement built into the shingle to firmly cement the shingles together automatically after they have been applied properly and exposed to warm sun temperatures. In warm seasons, the seal will be complete in a matter of days. In colder seasons, sealing time depends on the temperature and amount of direct sunlight hitting the shingles. Hand sealing with plastic cement should be done to ensure sealing in winter. Three-tab shingle: The most popular type of asphalt shingle usually 12" x 36" in size with three tabs. 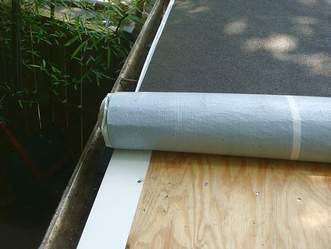 Underlayment:A layer of asphalt saturated (sometimes referred to as tar paper) which is laid down on a bare deck before shingles are installed to provide additional protection for the deck. Vapor retarder:Any material used to prevent the passage of water vapor. Material which, when installed on the high vapor pressure (warm in winter) side of a material, retards the passage of moisture vapor to the lower pressure (cold in winter) side. Note exception: Florida and Gulf Coast. Check local building codes to determine what side the vapor retarder should be placed.